What is the HARP 2.0? HARP 2.0 is a readjustment of the original HARP (Home Affordable Refinance Program). It's a mortgage tool for those who can't refinance their mortgages the conventional way due to their loan-to-value (LTV) ratio exceeding the value of their home (e.g. their home was underwater). This article explains the HARP 2 Program Guidelines & Qualifications. The first incarnation of the new HARP back in 2009 allowed borrowers to refinance their home that was up to a 125% LTV ratio as long as the loan was endorsed by Fannie Mae or Freddie Mac; which are two government-backed banking institutions for the mortgage industry. With the announcement of the HARP revamp, dubbed HARP 2.0, the opportunity to refinance underwater borrowers has a chance to affect 11 million homes. However, this is a lender assumed risk; it isn’t necessarily a no-risk situation. Therefore, guidelines and qualifications have been put in place to ensure a profitable, yet affordable program to get people into a better refinance rate for their 100% or higher LTV homes. 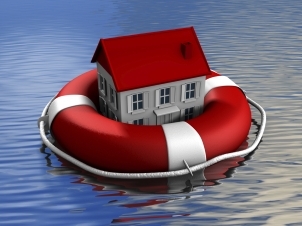 In order for you to refinance your underwater home mortgage, there are a couple of areas that you need to qualify with, they are listed below. Is Your Home With Fannie Mae or Freddie Mac? Your home must have been endorsed with Fannie or Freddie before May 31st, 2009. Even if it was purchased by Fannie or Freddie, it still needs to have been bought prior to June of 2009. Also, you cannot have already taken advantage of the HARP program since May of 2009. Does the Loan to Value Ratio Matter for HARP 2.0? As opposed to the first incarnation of the HARP program which had a loan to value (LTV) limit of 125%; meaning the loan could not exceed 125% of the value of the home; the new HARP 2.0 has no LTV limit. But you cannot utilize the HARP 2.0 program if you’re current LTV is less than 80%. Now while that’s great for borrowers, remember that this is a program done by businesses, so you will have to qualify to the lender regarding your no-LTV limit refinance. Credit, debt-to-income ratio, employment history, and other qualifying requirements will be looked at by each individual lender and approved according to their company’s guidelines for the HARP 2.0 program. Those that stayed up on their credit, are not swamped with debt, and show proof of sustainable income are in the clear and can move into the next category. Do I Have to Have a Perfect Mortgage Payment History for HARP 2.0? While many borrowers might have struggled making payments on-time to their lenders, it does not disqualify you outright. In order to qualify in this segment, you mustn’t have been late on a payment at all in the previous six months, and can only have been late one time in the seven to twelve month range. Now for those who have not had the cleanest record in terms of payment history, don’t stress. The HARP 2.0 program is eligible until December 31, 2015. So even if you’re still in a rut today, you have more than enough time to get back on track to qualify. Borrowers that aren’t quite there yet, make a realistic plan to get back on track to a perfect mortgage payment record soon. However, if you’re a borrower that can pass this hurdle, we can move onto the next section. What If I Can’t Afford The Payments for a HARP 2.0? Now you can refinance your 150% LTV home mortgage, but what if your payments jump from $1,500 a month to $2,000 a month. Wasn’t this supposed to help you, not make it worse? Not all HARP refinances are going to be like this, but in cases where they have an increase in monthly payments, you must only have an increase of 20% to your mortgage payment or you must requalify for the new loan. If you don’t increase your mortgage payment above 20%, you can skip the next section, if not, read on to figure out if you can re-qualify for the new HARP 2.0. There is more on Lender411 about HARP 2 limitations. Is There a Minimum Credit Score Needed to Re-Qualify for HARP 2.0? There is no minimum credit score to qualify for a HARP 2.0 loan. Each individual lender will have specific guidelines for credit qualification. However, there is a maximum debt-to-income ratio for HARP 2.0 participants. If you have a debt-to-income (DTI) ratio of 55% or less, you qualify. Meaning if you’re total recurring debt (mortgage, credit cards, etc) make up 55% or less of your monthly income, you qualify. To calculate this, take your annual salary and divide by 12. Take the total of your recurring monthly debt, and divide this by your monthly income to get your ratio. Here is an example. I Passed All of the HARP Qualifications, Now What? So you made it to the end of the race: your mortgage is owned by Fannie Mae or Freddie Mac, you have a perfect or close to perfect payment history for your mortgage in the past twelve months, your payments are less than 20% more expensive than the prior amount or you re-qualified for a new HARP 2.0 loan. You’ve saved your home and made things more affordable in the long-term. With the HARP 2.0 up and running now is the best time for you to apply for a refinance and start saving more money every month.